BBHS was founded as a nonprofit 501(c)3 organization for the purpose of collecting and preserving local historical data and artifacts for the education and enjoyment of present and future generations. Celebrating the heritage of Bradley Beach by keeping its history a part of daily life. Welcome to the Bradley Beach Historical Society (BBHS) web site. Here you can find out about events (past and future) as well as exhibitions hosted at our Museum, which is located in the Carmen Biase Center, 719 Main Street next to Borough Hall. If you want to learn fascinating facts about our coastal town, you will be able to search through our collection as our online archives expand. The earliest accounts of Bradley Beach can be traced back to 1679 when it is said that Captain William Kidd anchored his vessel off Duck Creek, now known as Sylvan Lake. 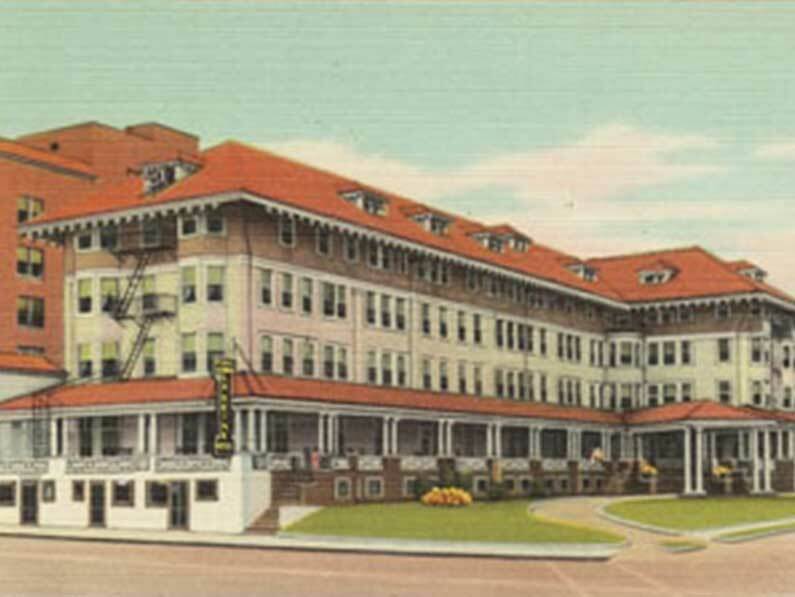 By 1927, Bradley Beach had become a popular resort town. 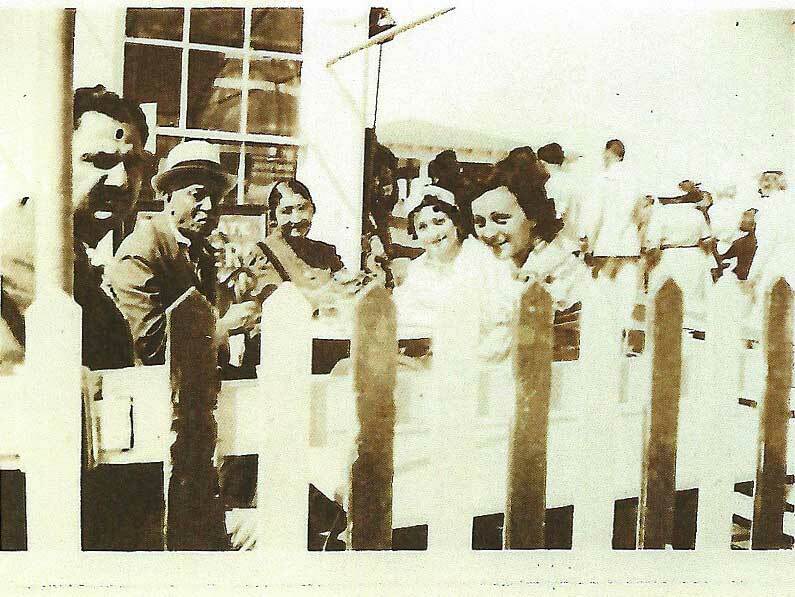 Learn about the history of Bradley Beach, how it got its name and how the BBHS is collecting and preserving local historical data and artifacts for future generations. See what’s happening in and around Bradley Beach and add our events to your calendar. View photos and reviews of our past events. 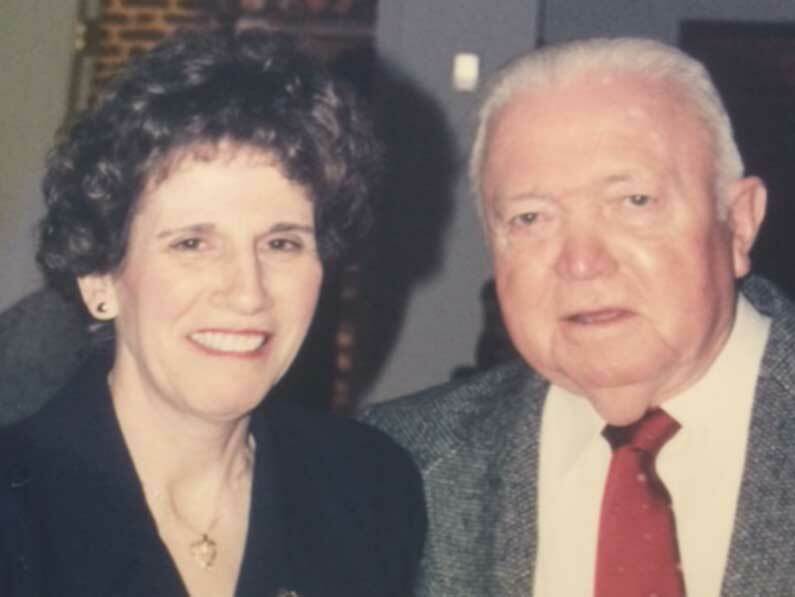 The history of Bradley is full of sweet, salty, and sentimental stories of young love. 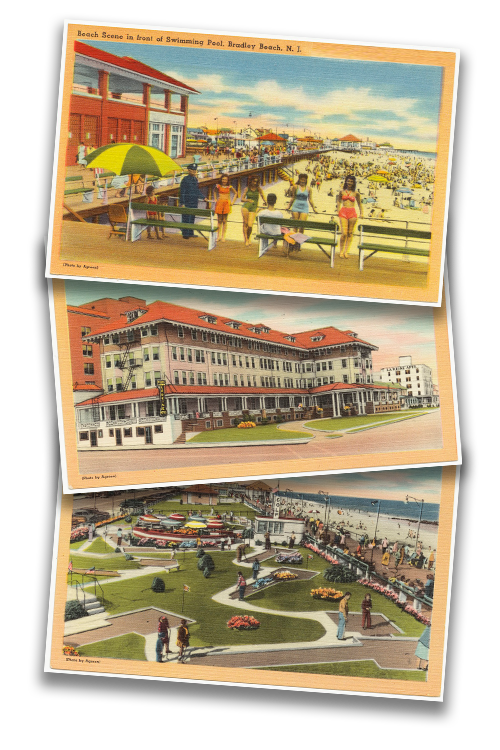 See a visual history of New Jersey shore images; from vintage postcards to current day photos. 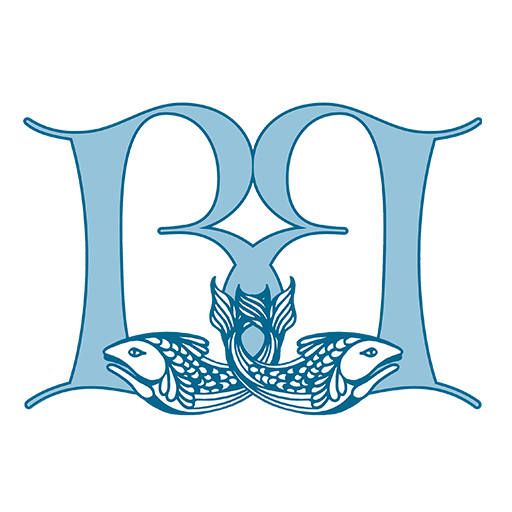 Join BBHS to ensure that all our cherished stories and those of early day-trippers, weekenders and seasonal residents are passed on to future generations. If you love Bradley Beach, you will want to add some of these fine items to your collection!